Supported on the Radeon HD 7000 series. LOD Image quality enhancements have been improved when enabling super sample anti-aliasing and adaptive anti-aliasing through the Catalyst Control Center for DX10 and DX11 applications. Applications must support in game anti-aliasing for the feature to work (forced AA through the CCC is not supported for DX10 and DX11 applications). 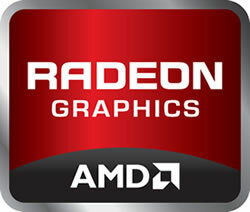 Supported on the Radeon HD 7000, 6000 and 5000 series. MLAA now operates up to 80% faster than previous versions. Improvements have been made to the texture filtering algorithm (for DX9, DX10 and DX11 applications) to increase the quality of rendered textures, with no impact to performance. Bug fixes are aplenty, with around a dozen mentioned for Windows 7 alone. Skyrim no longer hangs on single GPU machines with Catalyst 12.3 CAP1 and later CAP release, nor should you experience flickering square corruption anymore. VSync is no longer disabled in Rage after task switching, duplicating displays no longer produces random corruption, and tearing should be cleared up when using a third screen in 3x1 and 1x3 Eyefinity setups.